Summer Alaedeen, designer at Adeas Interior Design is back with another home decor and DIY post for our Summer Series. This time she’s helping us kick off the new year by helping us find purpose in repurposing! Read on to see how a little creativity can help you get organized in the new year. With the holidays behind us, and many oh-so-fun-filled months of paying bills ahead of us, spending tons of money on your home projects may have to wait. So why not look around at what you already have, and find new and creative ways to repurpose them! 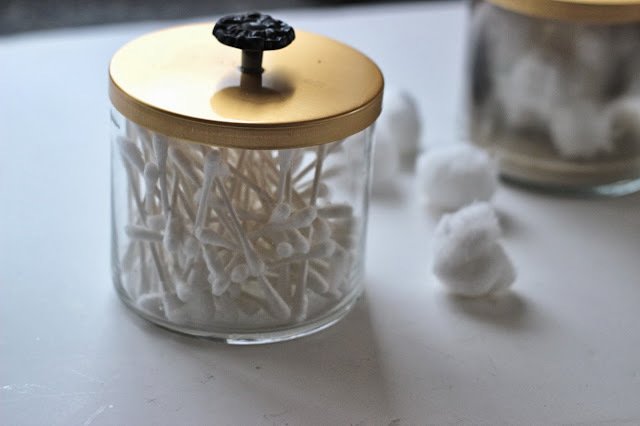 Breathing new life in items you already have may take a little thinking outside of the box. But once you start, you will love trying to reconfigure underused pieces of furniture like finding hidden “storage” treasure. A favorite repurposing project of mine had to do with a beautiful lingerie chest. 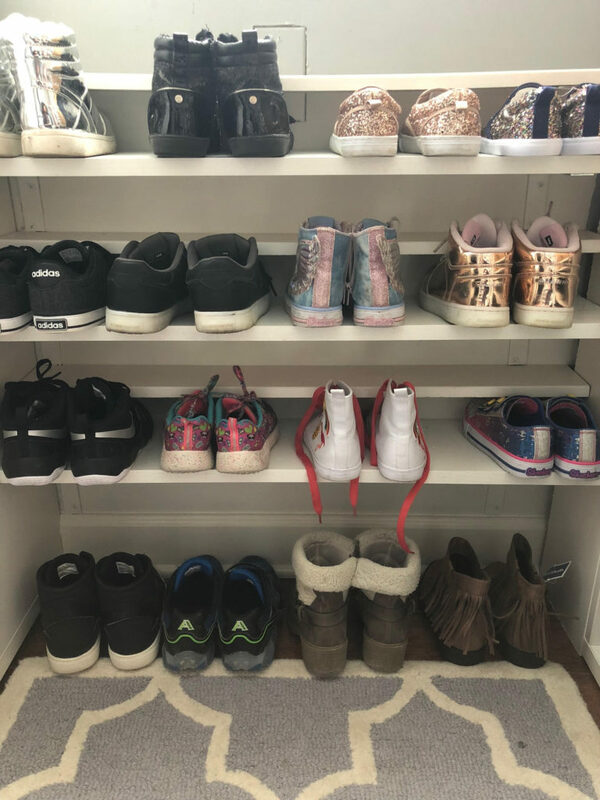 Although it was an attractive addition to my master bedroom, I realized over the years that the drawers were quite shallow and narrow and it wasn’t truly the most efficiently utilized storage piece. 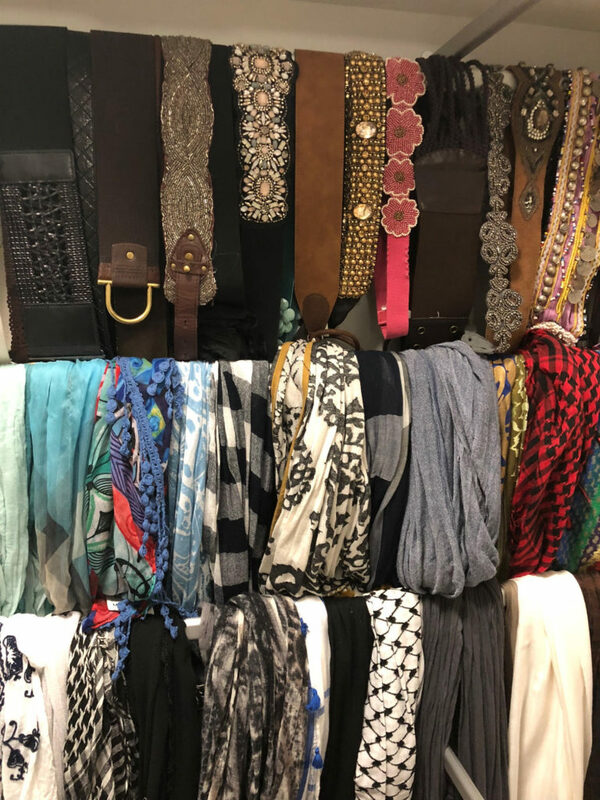 After much thought, and a thorough inventory of my belongings, I realized that having my jewelry in many different boxes, and equally as many locations, did not allow me to see everything I actually owned in one convenient spot. With that in mind, I had found my new challenge: How to create a functional home for all my jewelry, and fun costume pieces, while efficiently utilizing every inch of this beautiful piece of furniture? 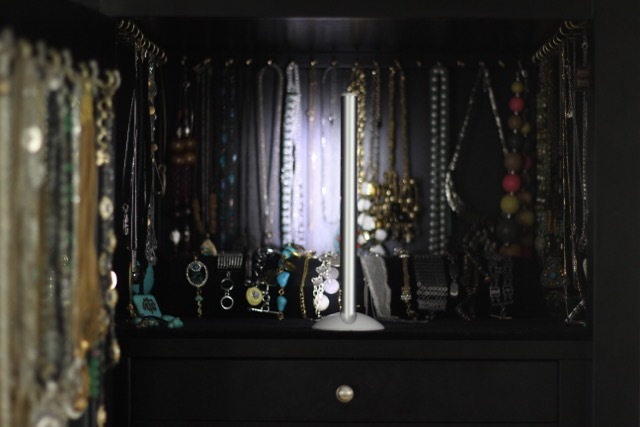 I started by creating plenty of necklace-hanging space by installing 1 inch cup hooks around the entire perimeter of the top cabinet. Then, for my bracelets, I created bracelet holders by using PVC pipe, cutting it to the length of the inside of the drawer and wrapping it with velvet fabric using a spray adhesive. 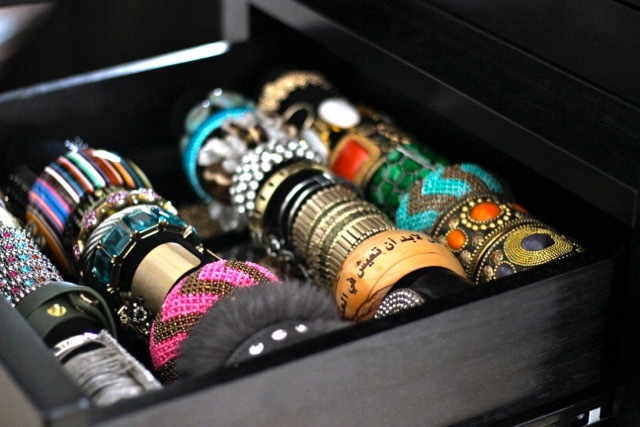 Next, I screwed in a small wood ledge on the inside of the drawer so I can easily slide on and off any bracelet. For the rest of the drawers I purchased foam board and cut pieces to fit the base of each drawer. By wrapping those with the remaining velvet fabric I created a beautiful and nonskid surface for necklaces. With more space to spare I cut a few shorter pieces of foam and used the same technique of screwing in small wood ledges on the inside of each drawer to create mini-shelves within each drawer. 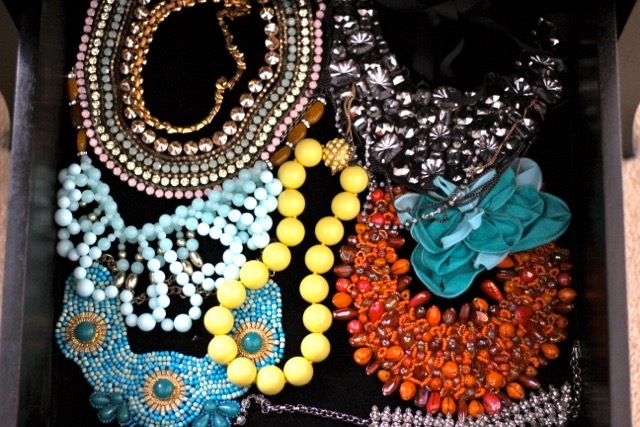 That created a multilevel flat surface within each drawer for my bulkier and shorter necklaces. 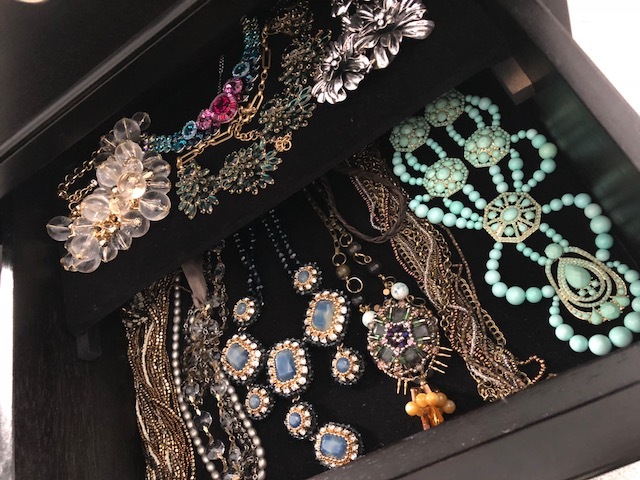 After housing all of my jewelry pieces into their new spacious home, it was as if I had just found a treasure chest full of jewels. Everything had its perfect place, and I could easily see all of my fabulous sparklers! Tell us your ideas for repurposing household items and furniture and we will add them to the list!